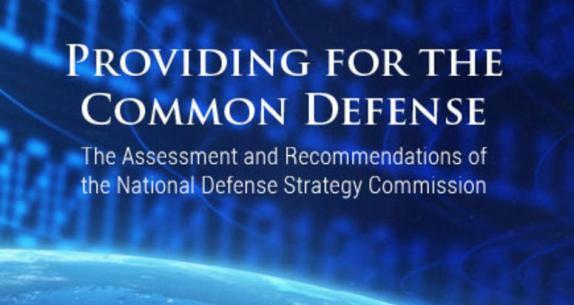 Congress created a panel to review America’s National Defense Strategy. The members of the National Defense Strategy Commission obviously viewed their job as justifying ever higher military outlays. In their view, America is weak, isolated, beleaguered, and endangered. Military spending must be greatly increased or Washington will lose its ability to run the world. In which case a new Dark Age may envelop the earth. The military is too small, warned the commission: “America’s ability to defend its allies, its partners, and its own vital interests is increasingly in doubt.” Foreign conquest may be just one battle away. What “vital interests” are threatened? No one can conquer America. If the nation’s economic prosperity is at risk, it is due to domestic policies. Energy supplies are abundant. No one can stop U.S. ships or planes from transiting the globe. The Europeans remain allies, and even they face no meaningful threat from Russia, which is dwarfed by the continent’s combined economy and population. In the Middle East Washington is aligned with the nuclear-armed regional superpower, Israel, the Gulf States, including big military spender Saudi Arabia, and most everyone else against a weak Iran. North Korea threatens the U.S. only in a desperate effort to deter American military intervention against it. America’s ally, the Republic of Korea, has twice the population and an astounding 50 times the North’s GDP. Only China looks like a serious competitor, but it is surrounded by potential rivals with which it has been at war in recent decades: Japan, Russia, Korea, Vietnam, and India. Moreover, Beijing’s ostentatious abandonment of the policy of “peaceful rise” has encouraged its neighbors to balance against it. And how much is Washington prepared to spend to ensure that it can force its will on Beijing? It is a lot cheaper for the PRC to build a few torpedoes or missiles to sink a carrier than for America to build and man another carrier. As for protecting allies and partners, why shouldn’t they defend themselves? Alliances should be a means, to enhance American security. In recent years Washington has turned them into an end, accumulating allies like many people do Facebook friends. As a result, the Commission continues to treat the Pentagon as a charitable enterprise, providing defense welfare to populous and prosperous countries. Washington’s European allies possess about ten times the economic strength and three times the population of Russia. In the Middle East America’s allies face far greater problems at home than from Iran. South Korea is well able to defend itself. Incredible. Washington far outstrips any combination of its likely opponents. The U.S. also has a plethora of powerful allies and friends. The NDSC wants to impose a new imperium, not defend America. The “threat” is that well-armed China and Russia might, for instance, be able to beat off U.S. intervention on behalf of Taiwan and the Baltic States, respectively. The price to forever overcome Beijing and Moscow would be extraordinarily high. After demanding massive increases in outlays, the NDSC complained of looming “strategic insolvency.” However, the answer is not, as the commission assumed, to do and spend ever more. The federal government’s current unfunded liabilities already exceed $200 trillion. Washington must shrink America’s unnecessarily expansive role abroad. Washington’s most basic responsibility is defense. Of America. The U.S. can’t afford to continue policing the globe.